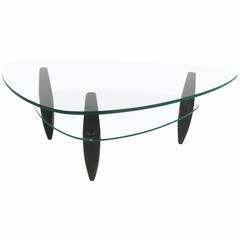 Sculptural Post-Modern two-tier waterfall edge glass cocktail table, circa 1970s - 1980s. 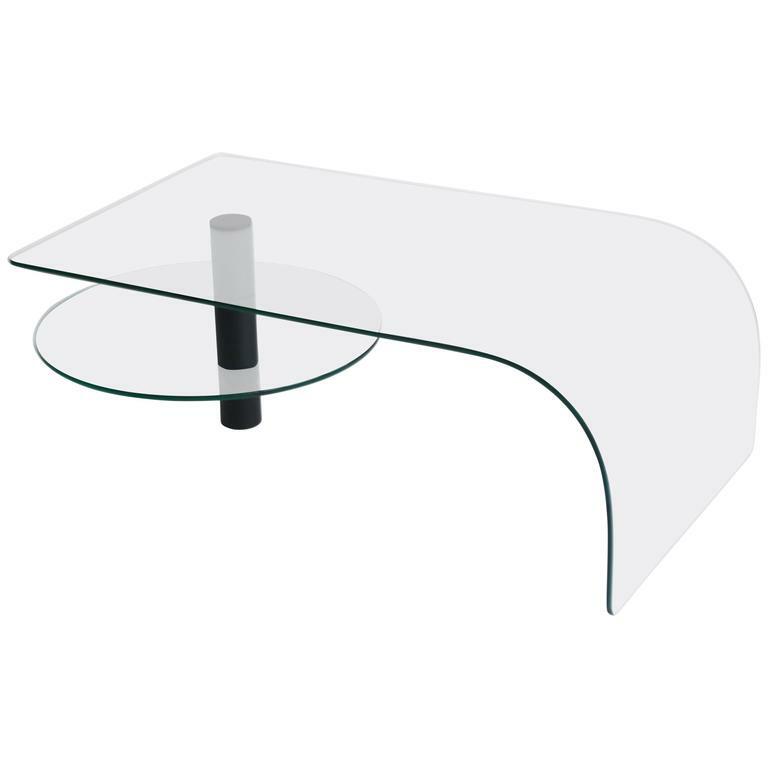 This strikingly graphic articulating coffee table is designed with a black powder coated support column with a circular swivel lower tier glass table. 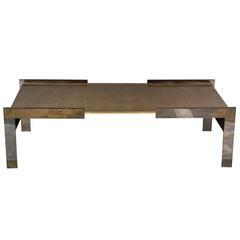 Note: Table length varies from 44" to 52" with lower tier table fully extended 52". 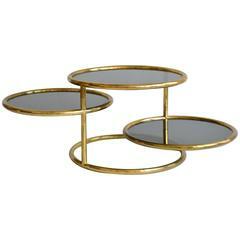 Lower tier table is 23.75" diameter. 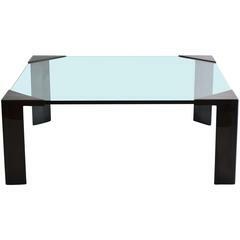 Clean modern table that tops off a flamboyantly designed room with its waterfall 1/2" thick glass. 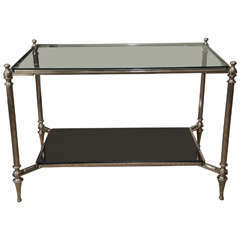 A cool piece that doesn't overpower those around it. 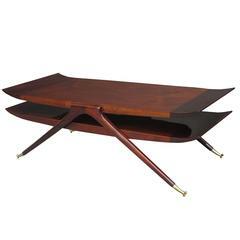 A modernist two-tier cocktail table attributed to Paolo Buffa. Mahogany with patinated bronze sabots. 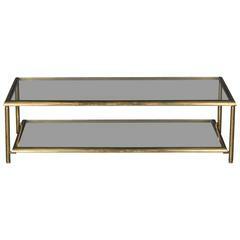 This stylish piece with glass top and lower black granite shelf can be used as a cocktail table, side table or a bar.